You don’t need a computer to access some popular Photoshop features. Photoshop Fix brings some of Adobe’s world-class retouching and restoration features to your iPhone, including liquefies, lighten, smooth, heal, and paint. If you’re a Creative Cloud customer, then you can send images from your phone directly to your desktop from the app to refine them ever further. For a long time, Adobe has been a name designers and photographers could name drop to let you know they’re serious. And because the software wasn’t cheap and required some know-how to use it well, it usually worked. 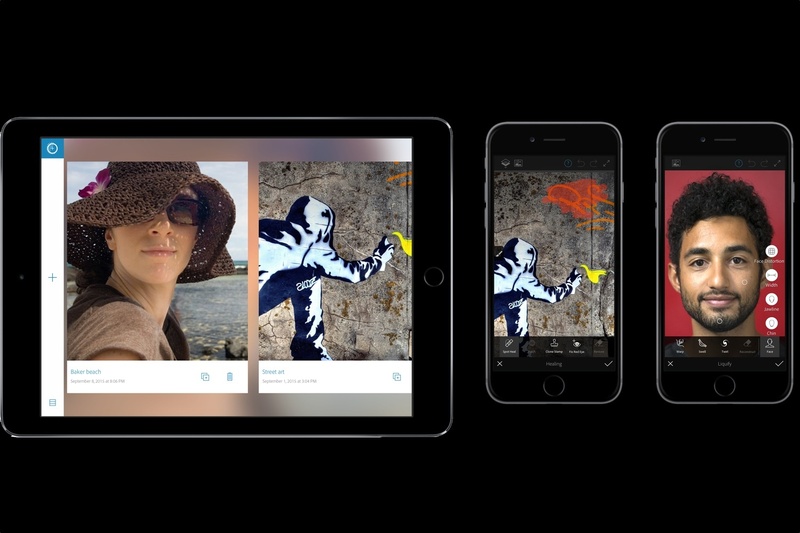 But Adobe’s new iOS app, Photoshop Fix, significantly lowers that technical barrier. Adobe’s Photoshop Fix is an app built for beginners and for the last two days I’ve been given the app a mega run through. I’ve altered a jaw line and a few smiles and taken some unsightly objects out of photos. But one thing for sure, Photoshop Fix is not a substitute for the full version of Photoshop. What it is, though, is a powerful editing tool that I can’t believe IT’S FREE. I always give you the good stuff. ALWAYS !!! !